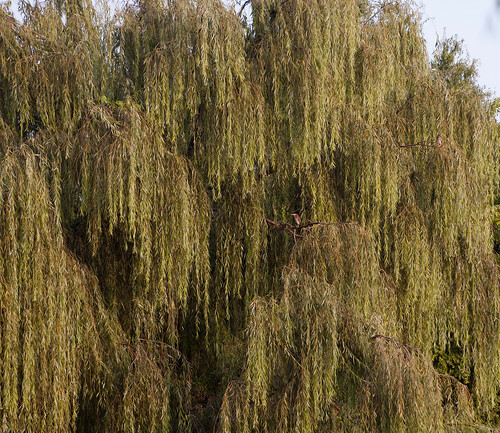 Green Herons (2) in willow tree – can you see them? 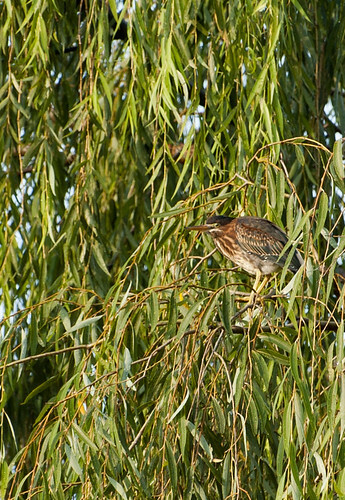 While visiting my father-in-law in Virginia we saw a family of green herons in the willow tree near his pond. The sequence of three pictures shown here move from distant to close-ups. 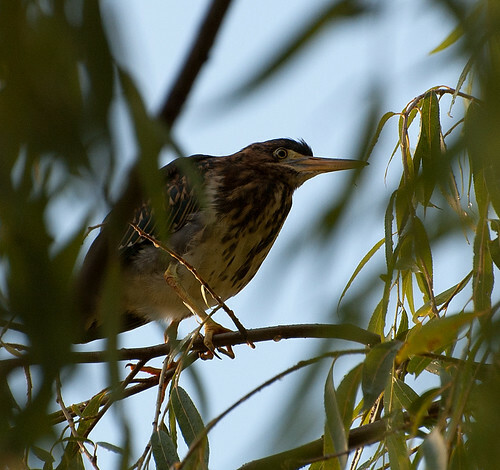 The close-up photos are of an immature green heron, identified as such by the streaking on its neck. 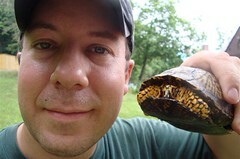 This entry was posted on 23 August 2012 by patacoate. It was filed under iPhone and was tagged with Green Heron, immature green heron. i saw something like this out in michigan a few weeks ago and didn’t know what they were. In my experience with the human species, it’s usually the immature who are streaking, too. Love green herons – I think it’s partially because they are so much more skittish than the larger herons and that makes them all the more interesting to see. Great shots of those herons. You must have been at the right place and at the right time to get these awesome shots. Great respect to your photography, sir.